It’s not every day we come across a stash of cash worth millions. But Chinese authorities had recently seized over 64 million yuan (RM39 million) in cash in their raid in one flat. As reported in Daily Mail, the treasure was hidden behind a wall in a flat Ningjiang district of Songyuan as shown in a viral video on Chinese social media showing the mountains of cash from two residences in Jilin Province on January 10 and January 12. 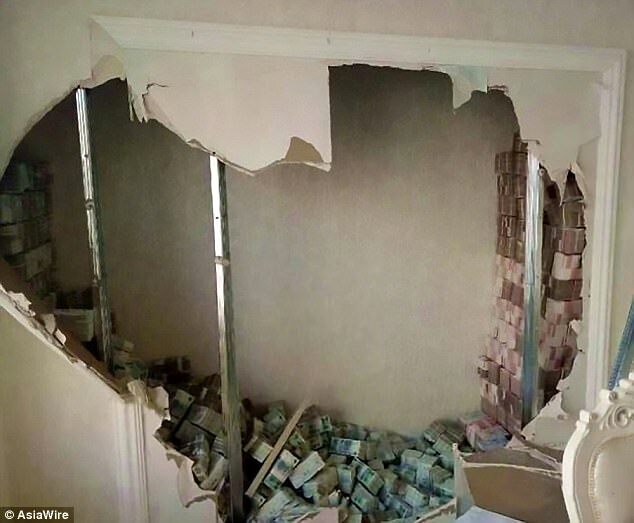 From the video, we can see the stash of cash contained notes of 100 yuan (RM60) and 50 yuan (RM30), which filled two corners of the wall in the flat, while the rest were scattered. It was reported that the raid was conducted after policemen had received a tip-off about a fertilising company, known as Shuang Fei, which buys off debts of individuals and small enterprises at a low price, but failed to repay their debts. The raid resulted to the arrest of four people, including a legal representative, and they were detained by the police for further investigation. Investigation had began since January 9 which led Songyuan police to follow a man, surnamed Wei, who works as a legal representative for the company. Their investigation also led them to discover the company's cash flow and the location Wei hid it in after withdrawing it from the bank. More information will be given out after a full investigation is carried out.